A new skatepark for the city of Asbury Park is looking like a real possibility. Get involved! The skateboard history and heritage of Asbury Park is rich, yet sadly it has gone fairly unrecognized by the general public. Yes, actual skaters have known for years of Casino Skatepark, The Deal Lake Pool, Metal Skateboards, as well as the numerous amazing skaters that have put in their time in Asbury. But not until recently have people outside the subculture of skateboarding taken notice. 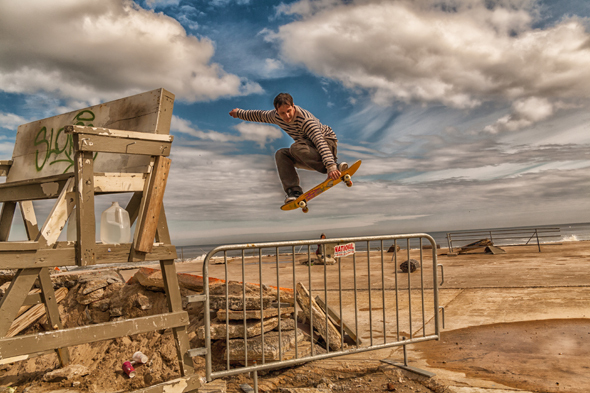 The building and quick destruction of the DIY waterfront park on the south end of Asbury, although a harsh blow to all those who helped create it, is serving as a testament to the fact that the skateboard community is vibrant, willing to create and sustain its own life, and not simply looking for a hand out. With photo, film, and written documentation of the creation, shredding, and destruction of the waterfront park, coupled with the hard work of local skaters and merchants, it seems the outcry for a legitimate skatepark has not only been heard by the City of Asbury Park, it’s being answered with a positive response. 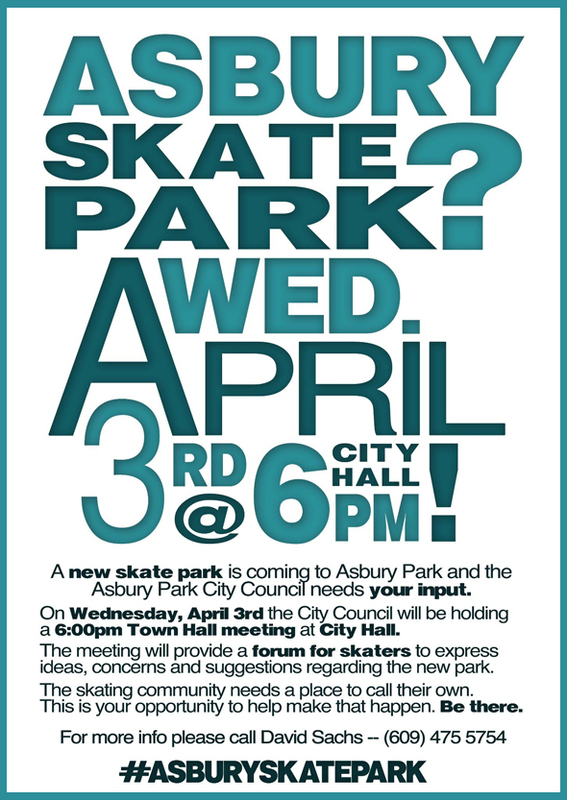 This Wednesday, April 3rd, at 6pm, the Asbury Park City Council is calling on the skateboard community to attend a meeting at City Hall. The city is looking for input, concerns, and suggestions on the proposed new skatepark for the city. It looks like the hard work of many has paid off. If you have something to express, be there. This entry was posted on Monday, April 1st, 2013 at 11:14 am. It is filed under SKATE. You can follow any responses to this entry through the RSS 2.0 feed.